Strengthening immigrant parents, families and communities in New Mexico. 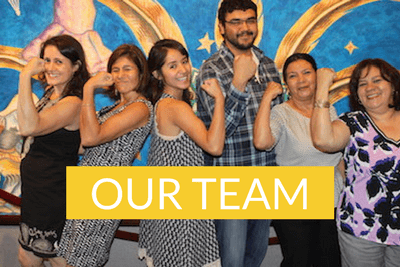 Encuentro is committed to the belief that quality education should build both individual and community knowledge, and with that knowledge comes individual and community power. 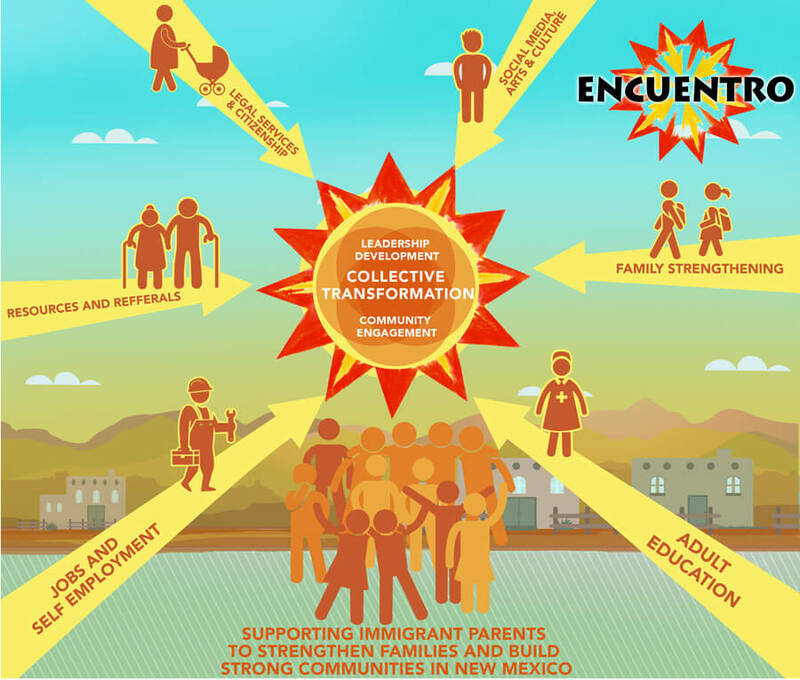 Encuentro’s collaborative model demonstrates that strategic community partnerships can expand and strengthen the safety net for immigrant families; furthermore, when programs are collectively offered in a culturally relevant, justice-oriented environment, they act as entry points into leadership development and community engagement opportunities, which build social capital and promote social and economic justice. Community knowledge, leadership and engagement are essential to crafting and implementing effective public policies that will help all NM children and families to thrive. 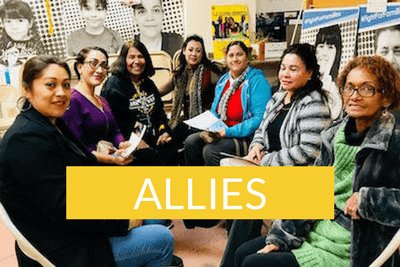 Encuentro works to raise the voice and visibility of the immigrant community, so that we can tell our own story, and join with others in the fight for social justice and for making our state a land of opportunity for all New Mexicans. Leadership development and community engagement are the desired objectives of any of good educational experience. At Encuentro, students develop and strengthen their leadership skills to support their families, schools and community. Together, we identify opportunities to collectively engage as advocates, volunteers, and strategists on the issues most affecting our families.